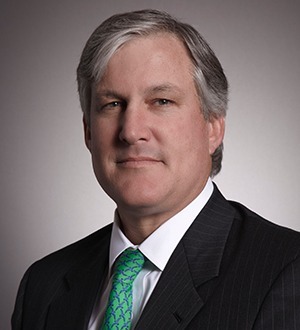 Chip Lion is a partner in the Corporate Finance Group with Morrison & Foerster LLP in Palo Alto California where he is the immediate past chair of the firm’s Palo Alto Corporate Finance Group and is the firm-wide co-chair of firm’s Private Equity Fund Group. Mr. Lion regularly advises institutional investors and fund sponsors in connection with the formation of venture capital funds, leveraged buyout funds, real estate opportunity and other private equity funds. Mr. Lion represents both public and private companies in a broad range of industries and sectors, including biotechnology, finance, medical device and the information technology sectors. He has extensive experience in structuring, negotiating and advising clients on a wide variety of acquisition transactions and related matters, including stock acquisitions, asset acquisitions, mergers, divestitures, auction transactions, tender offers, defensive strategies, leveraged buy-outs and cross border transactions. In addition to representing businesses and business leaders, Mr. Lion serves as Chair-Elect of the Business Law Section of the American Bar Association, representing its 55,000 members on cutting edge business issues. Prior to becoming Chair-Elect, as Vice-Chair, Mr. Lion served as editor-in-chief of Volume 68 of The Business Lawyer, the highly regarded journal of the Section. Previously, he served as Secretary of the Section (2011-2012) and served as co-editor-in-chief of the Section's online monthly magazine. He is the Past Chair of the Venture Capital & Private Equity Committee of the Section.